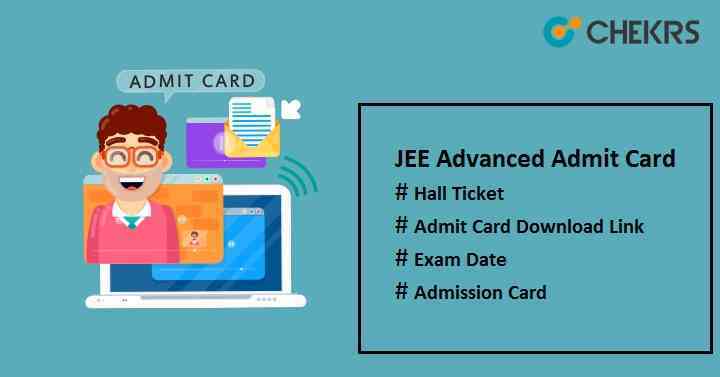 JEE Advanced Admit Card 2019: Only Students scoring above 2,24,000 rank in JEE Mains will be allowed to give JEE Advanced exam conducted by IITs for admission into various undergraduate engineering courses. Each year this exam is organized by any of the IITs. The official authority will release the JEE Advanced Hall Ticket on its official website through online process. So candidates cannot get it through any other mode. Every candidates who will take the exam, must bring the admit card on the day of examination for verification by Invigilator’s. It includes the details of candidates and exam like candidate’s name, day & date of examination, timing, exam center, exam name etc. The admit card will be issued in the month of May, 3 or 4 days prior to the examination date. It will be available for those candidates who will successfully fill in the application form and submitted it with the application fee within the deadline. The Hall Ticket of JEE Advanced will be released by the official authority of one of the IITs. To download the admit card, check the JEE Advanced Admit Card Download Link with the step-by-step procedure given below. Candidates can see the JEE Advanced Important Dates which help to the applicants for JEE exam preparation. Click on the link available there to download the JEE Advanced Admission Card. Enter the application no & date of birth and then click on “Download” button. It will be appeared on the screen. Take 2 or 3 copies of print-out of it.